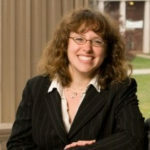 Kate Vyborny is a Postdoctoral Associate in the Department of Economics at Duke University, USA. She holds a D.Phil. (Ph.D.) in economics from the University of Oxford, England, where she held the Rhodes Scholarship. Kate’s research focuses on public service delivery, urban development and public transportation, and gender. Kate is a visiting faculty member at the Lahore School of Economics and the Lahore University of Management Sciences. Kate previously worked on development assistance effectiveness at the Center for Global Development, and on trade and development at the Carnegie Endowment for International Peace. She holds bachelor’s degrees in Economics and International Affairs from the University of Georgia, USA. How well represented are women in Pakistan's rural volunteer organisations?